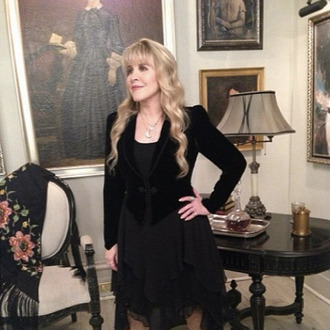 The world still has to wait until January to actually watch Stevie Nicks play herself on American Horror Story: Coven but thanks to Ryan Murphy’s Instagram, we get a glimpse of what she looks like on set. The word you’re looking for is “spectacular”! Catch the close up below.